Robert Ivy, executive vice president and CEO of American Institute of Architects (AIA) and Russ Davidson, AIA National president, issued a joint video apology Monday night after publishing a widely-criticized post-election statement of support for President-Elect Donald Trump. The video came after days of withering criticism directed at Ivy from scores AIA members, designers, and academics who saw Ivy’s memo as tone-deaf and complacent with the President-Elect’s hateful and racist campaign tactics as well as the incoming administration’s refusal to acknowledge of climate change. UPDATES: AIA pledges to work with Donald Trump, membership recoils. The recorded statement also follows an earlier, fumbled apology that was similarly-panned by the architectural community. UPDATE: Robert Ivy, executive vice president and CEO of the AIA, responds to post-election memo criticism. Criticism of Ivy’s support for Trump generated strong condemnation from across the profession, with architecturally-focused advocacy organizations like QSAPP, Architecture Lobby, and even from local AIA chapters and affiliated groups penning letters in opposition to Ivy’s statement. Prominent architecture firms and their principals like Katherine Darnstadt of Design, Micheal Sorkin of Terreform, and Maryam Eskandari of MIIM Designs also voiced strong outcry against the memo. In their apology video, Ivy and Davidson pledge to prioritize issues of diversity, equity, inclusion, and climate change moving forward and to embark on a listening tour to hear members’ concerns more closely. The AIA and its 89,000 members are committed to working with President-elect Trump to address the issues our country faces, particularly strengthening the nation’s aging infrastructure. During the campaign, President-elect Trump called for committing at least $500 billion to infrastructure spending over five years. We stand ready to work with him and with the incoming 115th Congress to ensure that investments in schools, hospitals and other public infrastructure continue to be a major priority. We also congratulate members of the new 115th Congress on their election. We urge both the incoming Trump Administration and the new Congress to work toward enhancing the design and construction sector’s role as a major catalyst for job creation throughout the American economy. This has been a hard-fought, contentious election process. It is now time for all of us to work together to advance policies that help our country move forward. While the editorial board agrees that a spirit of togetherness is vital for moving the country (and the architectural profession) forward, The Architect’s Newspaper strongly disagrees with Ivy’s conciliatory note. Our editorial board is currently gathering feedback from practitioners, luminaries, and academics in the field, and initial responses indicate that many architects strongly disagree with the tone, character, and appropriateness of Ivy’s memorandum. It is plain to see that Donald Trump ran a racist, misogynist, and hateful campaign rooted in the forceful removal of undocumented immigrants, voter suppression targeting people of color, and xenophobic anti-Muslim profiling. The many hate crimes and acts of intimidation taking place across the country in the days since the election are a testament to the violence and racism his campaign has enlivened. Though Trump’s campaign was relatively anemic in terms of specific, actionable policy proposals and objectives, a clear plank of the Republican candidate’s message was, Ivy correctly states, related to infrastructure, namely, the erection of a border wall separating Mexico from the United States. Very little mention was ever made by Trump, his surrogates, or his supporters for the “investments in schools, hospitals, and other public infrastructure” that Ivy cites. That line of reasoning is purely hallucinogenic and wishful thinking on the part of the AIA CEO, and an irresponsible act of complicity from someone tasked to lead a diverse, inclusive, and progressive professional organization. It is anathema to this editorial board to fathom the positive impact of such a work of infrastructure as the proposed border wall or its attendant detention centers, federal and private prisons, and militarized infrastructure that would be necessary in order to achieve the President-elect’s stated deportation policy goals. To ignore the role design and designers could play in instituting and perpetuating the inequality inherent in the racist patriarchy of Trump’s ideology embodies is irresponsible and reprehensible. Furthermore, the memo’s imprecise language, uncritical stance, and congratulatory tone not only willfully misunderstand the stated policy objectives of the President-elect, but in committing such a lapse in judgement, submit the 89,000-member profession to the willful service of the destructive goals stated above. All the while, it condones the violence and oppression due to be inflicted upon the communities singled out by Trump’s rhetoric—which will likely impact the AIA’s own membership as well. The AIA’s struggles with diversity and inclusion are well-known: While the National Council of Architectural Registration Boards (NCARB) reported 105,847 registered architects in 2015, the Directory of African American Architects counts only 2,084 self-reported African-American members. That being said, recent years have indeed seen an increase in diversity within the profession. Demographic reports from 2015 show the highest proportion of women and people of color completing licensure requirements ever, with nearly 40 percent of newly-registered architects belonging to these groups. Simply put, Ivy’s memo does not speak for these professionals. We stand in opposition to the language in Ivy’s statement and in solidarity with the AIA membership that does not wish to be included in Ivy’s praise. Instead, we would like to guide our readers toward the AIA’s stated Diversity and Inclusion goals: Leadership in design and construction requires collaboration. Architects must encourage and celebrate the contributions of those who bring diverse experiences, views, and needs into the design process. Civil rights The AIA supports the promotion of human and civil rights, the universal respect for human dignity, and the unbiased treatment of all persons in employment, civic, and business transactions. Diversity The AIA recognizes that diversity is a cultural ethos – a way of thinking or acting that fosters inclusion and enhances our membership, our profession, and the quality of life in our communities. Embracing this culture of diversity, all programs and initiatives of the AIA and its members shall reflect the society that we serve, regardless of race, gender, sexual orientation, physical abilities, or religious practices. The AIA supports the development of policies and programs that endeavor to ensure equal access to professional degrees in architecture for those who are underrepresented in our profession. I cannot imagine supporting the AIA statement. It is not because I do not think the USA requires an urgent address to its aging infrastructure, but because there are some fundamental roadblocks to a collaboration, or dialogue, with an incoming administration, whose modus operandi over the past two years has been to issue contradictory statements, some of which happen to have been inflammatory beyond what I would describe as civil discourse. In addition to this, the AIA seems to have issued its statement on behalf of its 89,000 members, and none of the members I have spoken to have actually endorsed this. Since I am not a member, I can speak freely only from my position. The campaign of the incoming administration did not produce any consistency of message; one could not hold the candidate to any meaningful position either. I would simply ask, how does this administration define infrastructure? The perfunctory way in which Trump has described the state of bridges, tunnels, highways and airports seems straightforward enough, but it lacks any agenda beyond the obvious motivation to create jobs. It also lacks any nuance to identify the difference between issues of health and safety, the potentials of public space, an expanded definition of what constitutes infrastructure in a digitally interactive network, and dare I say an infrastructure that has cultural qualities that one may characterize as architectural, to enumerate just a few categories for discussion. To pose these questions requires the ears of an individual who has the patience to listen, to internalize and to have the generosity of productive dialogue. We have not had the opportunity to see that candidate emerge yet in the incoming president. How will architecture, urbanism, and planning be immediately impacted by the new administration’s current thinking? At first glance, the construction of a wall between the USA and Mexico, a cornerstone of this campaign, seems to qualify as an ambitious infrastructural proposition whose potential to be realized would be as incredible as the results of the election. But beyond that, the ethical implications of this wall should be at odds with what the AIA would want to endorse. By extension, Trump’s denial of the scientific data that grounds the discussion around global warming is another point that makes debates with the candidate effectively impossible. If an intelligent engagement in discussions regarding climate change, the well-being of cities and the general state of the environment is not part of an agenda of the incoming administration, then what is all this new infrastructure meant to support in the first place? The denial of facts, the falsification of data, and the shifting ground on which the campaign has evolved is at the heart of both points #1 and #2, both of which necessitate an appeal to education and forms of discursive debate in order to advance some idea of civil engagement. The incoming administration has not yet demonstrated an appetite or aptitude for such an engagement. In those instances where the candidate was articulate, he succeeded at exercising a form of free speech that effectively marginalized other groups in any form of inclusion; this is the only consistent position and noticeable pattern in his discourse. How is it that the AIA can close its eyes to the ethical foundation on which we think we can operate as a community? Are these women, people of Mexican origin, Muslims, individuals within LGBT community, among other groups, not part of what the AIA sees as its own community? The abandonment of basic ethics in the service of cultivating a new form of patronage seems to also deny the AIA from the agency and responsibility that it should hold dear. Where will the AIA draw its lines? "Our public spaces are under attack. The political fora of generations past are no longer arenas to sponsor agonistic discourse, but are now instead sanitized spaces for the replication of self-insulating ideologies. Monitored, surveilled, patrolled, the public realm of the contemporary city has become a victim of spatial instruments of suppression. Exclusion zones at sites of protest dictate exactly where and what type of dissent is allowed. Police reclaim a twenty-one-foot boundary around potentially aggressive bodies, legitimizing the use of lethal force within a circumscribed, ambiguous, and mobile territory. Anyone within range is recast as a potential suspect. Violence is a presumed mode of interaction. The military has co-opted the city as a space for training, imagining and foreshadowing future insurrections. They arrive unannounced in civilian neighborhoods, which fit their models as hotbeds of likely resistance. They use ubiquitous public infrastructures to surreptitiously watch for otherwise imperceptible signs of dissent. We as spatial practitioners must identify, engage with, and act to reverse the forces that seek to limit public life and public space further. The AIA, in its recent announcement, is enthusiastic about working with Trump on the country’s infrastructure—without questioning the origin of this spending. It has failed to identify threats to public life as befitting the profession. The AIA says nothing of the infrastructure’s cost to the progress of global climate initiatives, or the human cost of those affected by climate change. It pledges the unflinching support of its 89,000 members with no mention of if or how that consensus was reached. We question how the AIA, as an organization, has presumed to represent and thereby flatten the political will of its individual members. With its statement, cloaked in the deceptive language of neutrality, the AIA has in fact forced a political mandate on its members: ignore climate change and support infrastructural spending. Architects, even those within the organization, must retain the ability to act on their own judgment, in the public interest, and not be susceptible to such doctrinal mandates from the professional institutions to which they happen to belong. The AIA announcement is at best short-sighted and at worst an opportunistic overreach of the AIA leadership, offering its members as ready and willing servants of the impending economic and industrial restructuring of the domestic landscape—whatever that may be. The Chicago chapter of the AIA (AIA Chicago) has announced its annual Design Excellence Awards. The 2016 recipients were honored at Designnight 2016, the chapter’s largest annual event, with over 1,000 attendees from Chicago’s architecture and architecture-related fields. The Design Excellence Awards are divided into four categories: Distinguished Building, Divine Detail, Regional & Urban Design, and Interior Architecture. Each category has its own jury, who choose from hundreds of entries. Each category is divided into three levels of awards: Honor Award, Citation of Merit, and Special Recognition. This year a Lifetime Achievement award was also presented to Ron Krueck, FAIA and co-founder of Chicago-based firm Krueck + Sexton Architects. This year’s Honor Award recipients included firms large and small. The top award for Regional & Urban Design went to UrbanLab for its Changde City Master Plan, in Changde, China. SOM and Adrian Smith + Gorden Gill Architecture took Citations of Merit for projects in Sydney, Australia, and Pullman, Chicago. 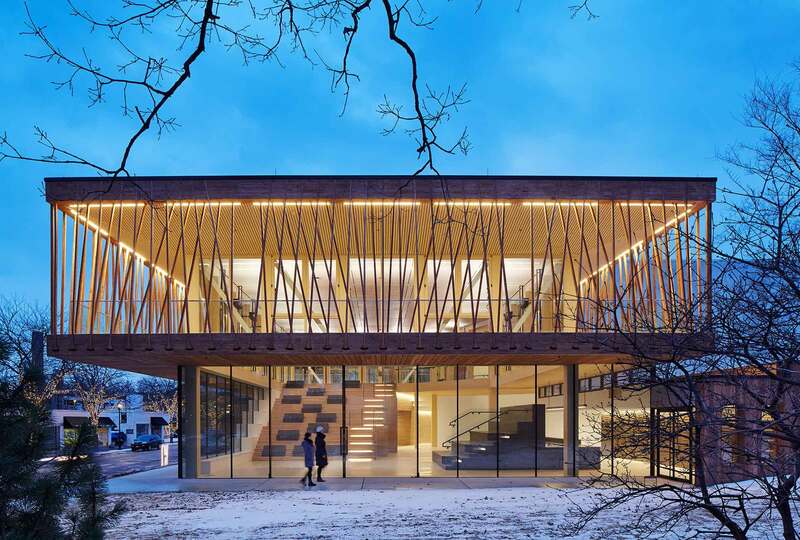 Multiple Honor Awards were given for the Divine Detail Award, with Studio Gang taking home two awards in the category for its Writers Theater in Glencoe, Illinois and City Hyde Park on Chicago’s South Side. Krueck + Sexton Architects, John Ronan Architects, and Optima DCHGlobal, Inc. were also presented with Honor Awards in the category. Studio Gang’s Writers Theater was also an Honor Award winner in the Interior Architecture category, joined by Woodhouse Tinucci Architects and von Weise Associates. The most coveted awards of the night, the Distinguished Building Awards, was given for four projects. Optima Sonoran Village by David Hovey & Associates Architect, Inc., in Scottsdale, Arizona, was honored, notably for its facade, which integrates a vertical landscape system. 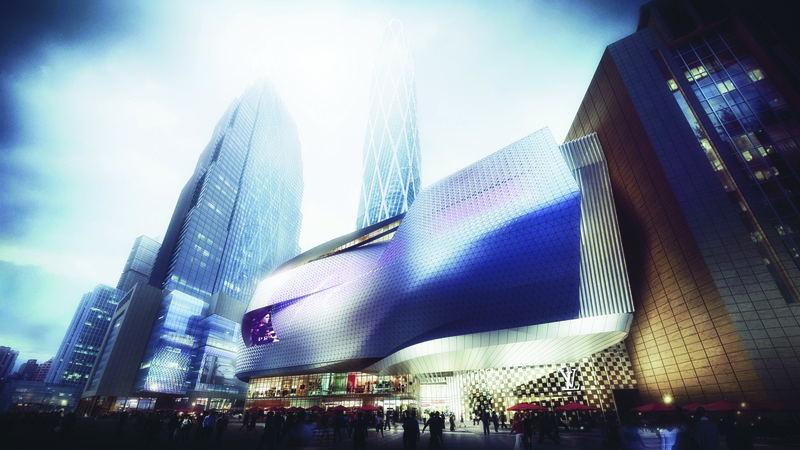 JAHN took home an Honor Award for its Doha Convention Center, located in Doha, Qatar. Perkins+Will’s Case Western Reserve University/Tinkham Veale University Center, and Sasaki and Ross Barney Architects’s Chicago Riverwalk were also honored. Justice Department to end use of private prisons. Will the AIA ask architects to stop designing them? Deputy Attorney General Sally Yates announced today that the Department of Justice (DOJ) will end its use of private prisons, citing concerns over the facilities' safety and efficacy. The decision applies to federal prisons only and comes after the department released an 86-page report that analyzed the operations of 14 contract prisons in seven categories for security and safety. The report found that, except for fewer (reported) incidents of sexual misconduct and positive drug tests, privately operated prisons have more security and safety lapses than those run but the Bureau of Prisons (BOP). The report found that private prisons, moreover, had higher rates of inmate-to-inmate and inmate-to-guard assaults than at BOP facilities. “[Privately-run prisons] simply do not provide the same level of correctional services, programs, and resources; they do not save substantially on costs; and as noted in a recent report by the Department’s Office of Inspector General, they do not maintain the same level of safety and security,” Yates wrote in a DOJ memo released by the Washington Post. In an interview with the paper she added that “[the] fact of the matter is that private prisons don’t compare favorably to Bureau of Prisons facilities in terms of safety or security or services, and now with the decline in the federal prison population, we have both the opportunity and the responsibility to do something about that." The move comes as the federal prison population has declined from an all-time high of almost 220,000 in 2013 to 195,000 today, mostly due to changes in drug sentencing guidelines, sentencing for low-level drug convictions, and clemency initiatives. The prisons will not shut down all at once. Rather, the DOJ will review the contracts of 13 facilities operated by three private organizations as they come up for renewal over the next five years. The DOJ's decision will impact a small number of prisoners, but its implications are huge. As of December 2015, private prisons housed around 22,660 federal inmates, 12 percent of the BOP's inmate population. By May 1, 2017, the private prison population should be less than 14,200. The Daily News' Shaun King, who advocates for ending mass incarceration, offered measured praise for the decision on his Facebook page: Although problems at private prisons are well-documented, they are often drivers of economic development, and jobs-starved communities are loathe to see the prisons shut down. Already the BOP announced that it will reduce a new 10,800-bed contract by 7,200 beds. The BOP spent $639 million on private prisons in the 2014 fiscal year. The DOJ's decision could impact the architecture profession. In 2011, Architects/Designers/Planners for Social Responsibility repeatedly petitioned the AIA to take a stance on the design of execution rooms and "spaces intended for torture or cruel, inhuman, or degrading treatment" in the U.S. and abroad. Although the organization's code of conduct states that "members should uphold human rights in all their professional endeavors," this year, the AIA rejected a petition to discipline members who design solitary confinement units and death chambers. BOP prisons can contain solitary confinement facilities, so the DOJ's decision may spur the AIA to take a more decisive stance on the ethics of prison design. Of 40 submissions from 14 Dallas firms, the Dallas Chapter of the American Institute of Architects (AIA) has selected four designs to receive its 2016 AIA Dallas Unbuilt Design Awards. This year’s recipients were selected by a jury composed of world-renowned architects, including Jacob Brillhart, founder of Brillhart Architecture; Mary-Ann Ray, a principal of Studio Works Architects and cofounder and co-director of the experimental laboratory for urban and rural research and design at BASE Beijing; and Adam Marcus, AIA, director for Variable Projects and partner in Futures North. The Garden Education Center at the Dallas Arboretum and Botanical Gardens acts as a gateway for visitors—an experience that is equal parts display, science, and education outreach. Inspired by the concept of “cycles” the arboretum is a figure-eight loop form. The design burrows into the ground and then curves up into the air with the loop offering 360 degree views of the garden. The jurors praised the way the project creates an experiential procession into the park. Set within densely populated Chongqing, China, the project creates a city within a city, rendering the tower as a contributing part of the urban fabric both in plan and volume. Articulation of form and spatial experience speaks to the characteristic mist that envelops Chongqing down to the flow of the pedestrian life at street level. Spaces cascade throughout the project to form volumetric interaction and connect to the city at every level. The jurors commended the project’s ability to weave public space into a building experience that is generally only reserved for a few. 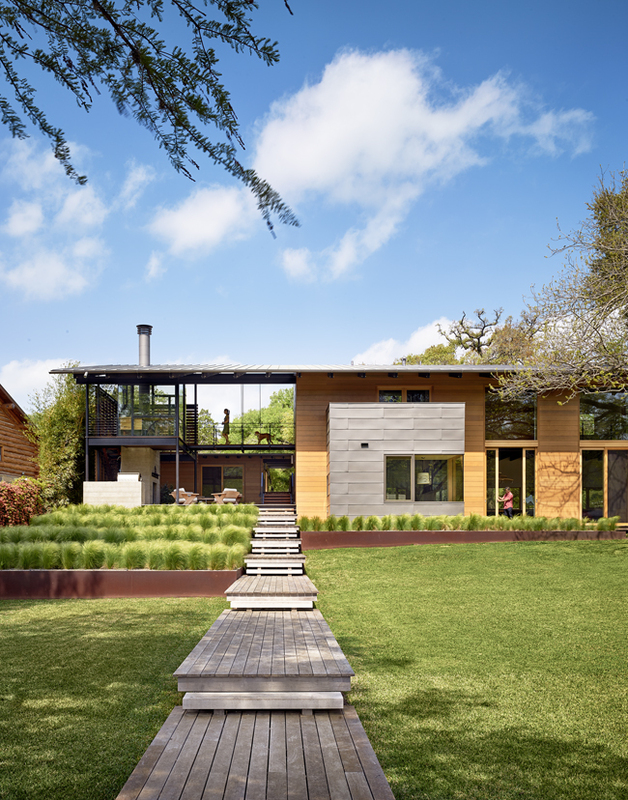 The Hillen Residence connects the homeowners to their surroundings by weaving into the landscape and then graciously opening toward expansive views of native Texan flora. A site-specific project, the form, both in plan and volume, is driven by natural connections stitched together with facets of the family’s daily life. The jurors appreciated the project’s ability to manifest a complex plan and idea into a simple gesture that allows the homeowner to experience the architecture and local environment from every vantage point. With a reclaimed industrial warehouse and minimal budget—a result of high equipment cost—the proposal for Oak Cliff Brewing Company aims to create a welcoming place for the public through minimal design costs. Using a large pecan tree on-site as inspiration, reclaimed wood elements act as a unifying palette and define the character of both indoor and outdoor spaces. The jurors were impressed by the modest proposal and its ability to do a lot with a little. Fed Scraper – Juror Citation HKS, Inc. The FED Scraper proposes a physical constraint to the U.S. Government’s ever-expanding spatial capacity. The proposal sinks the federal government building into a sub-grade metropolis where the terrain creates a physical limitation on growth. In turn, the ground place is activated for public programming, thus giving back large swaths of D.C. to the people. The jurors praised the project’s utopian ambition and visionary scale, as well as the use of humor and irony as a means of pushing the outcome outside of the comfort zone. 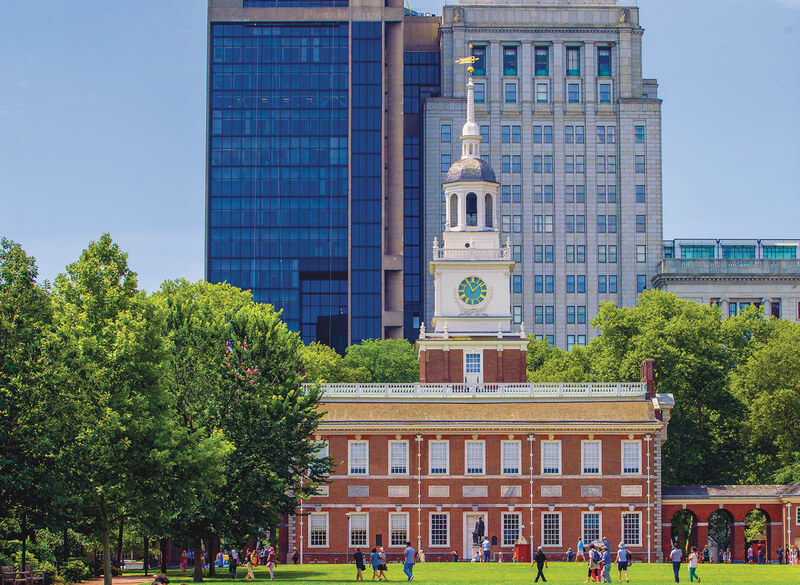 We've collected all the articles that can help you get caught-up before the convention—on Philly, on the AIA, and on the myriad speakers. Dive in! Eligible projects needed to have been completed after January 1, 2011. They could be renovations or new buildings of any size, budget, or style, including mixed-use projects. Awards are be divided into four categories: One/Two Family Custom Housing; One/Two Family Production Housing (none selected this year); Multifamily Housing and Special Housing. This years jury included Jamie Blosser, AIA (Chair), Atkin Olshin Schade Architects; Ariella Cohen, Editor-in-Chief of Next City; Kevin Harris, FAIA of Kevin Harris Architect, LLC; David Lee, FAIA of Stull and Lee, Inc. and Suman Sorg, FAIA of Sorg & Associates, P.C. This award recognizes work for custom and remodelled homes. Hog Pen Creek Retreat; Austin, Texas - Lake|Flato Architects "Towering heritage oak trees, a steeply sloping site and aggressive setbacks from the water created challenging site constraints thoughtfully answered by the home's L-shaped footprint and orientation. A long exterior boardwalk connects a series of structures that stair step down the hillside, crossing a 75-foot lap pool and terminating at a screened pavilion by the water’s edge." Jury Comments: "Nicely detailed, fully cohesive design strategy with water and nature being primary influences. This feels very place based and perfect for its setting in Texas. Artful composition of masses. Delicate placement amidst mature landscape and Creek waterfront views." Independence Pass Residence; Aspen, CO - Bohlin Cywinski Jackson "The house stretches between two knolls, forming a threshold to the views. A series of textured Vals quartzite walls extend into the landscape on either side, giving weight to the lower level. The upper volume is a glass and wood pavilion with a roof that floats on slender stainless steel columns. Its position on the site, linear shape and the use of glass, steel and quartzite gives great strength to this mountain home." Jury Comments: "Beautiful use of stone and lines to frame views of conservation land. A stunning house. A simply spectacular house totally attuned to its Aspen setting. The views are spectacular at every angle." Island Residence; Honolulu - Bohlin Cywinski Jackson "Situated on the Ocean’s coastline at a corner of an ancient fishpond, this private residence reflects the culture of the Hawaiian Islands by embracing its lush surroundings. The house has diverse outdoor spaces and a highly transparent envelope with intimate views of the landscape, the coastal reef and the surf. Jury Comments: "Excellent place based design marrying modernism with hand crafted details. An exciting take on a vernacular, providing a real warmth and openness. Lovely cultural references to both Hawaii and Japan." Newberg Residence; Newberg, OR - Cutler Anderson Architects "This single-family 1,440 square foot residence and 550 sf guest house was designed so the owners can connect with the wild creatures that come to water regularly. The design attempts to make the pond and residence a single entity via entry through the forest, over a bridge from the north end of the pond." Jury Comments: "Elegant design demonstrates joy of living with nature - not requiring a grand vista or dramatic landscape. Thoughtful siting as bridge over pond, elegantly detailed. Simple, clean proportions, warm wood interiors." Oak Ridge House; Jackson, MS - Duvall Decker Architects, P.A. "This house, located in Jackson, Mississippi, is designed as a scaffold for the experience of moving between these conditions, to inhabit and interpret each of them over time. It is shaped to draw the outdoors in, lure the family out, and provide an environmentally rich palette of spaces to accommodate the process of habitation." Jury Comments: "Understated, well designed home. Multiple functions of builtins nice feature, as is choice of materials - slate and pecan. A really, really nice L shaped residence." This award looks at the integration of the building(s) into their site, using both open and recreational space, transportation options and features that contribute to liveable communities. Both high- and low-density projects were considered. 1180 Fourth Street; San Francisco - Mithun | Solomon (initiated as WRT/Solomon E.T.C. )* "The project occupies a full city block with a multi-level courtyard accessing tenant services, daycare, community gardens and common spaces. A generous community room serves the larger neighborhood as well as the project. Amenities emphasize fitness, nutrition, education and community life. It houses 150 low income and formerly homeless households, plus 10,000 square feet of restaurants and retail." 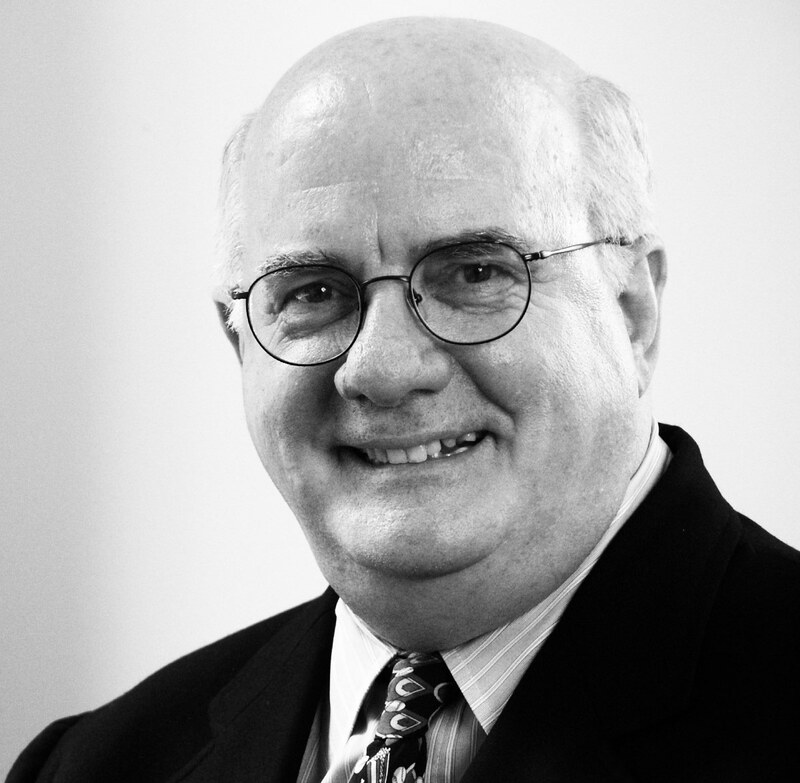 *Associate Design Architect: Kennerly Architecture & Planning Jury Comments: "This is a really cool project! It does some really neat things architecturally and is rich in many ways. San Francisco sorely needs affordable housing and this is a perfect location re: transit and accessibility. To live here you have to won the housing lottery!" Cloverdale749; Los Angeles - Lorcan O'Herlihy Architects "Cloverdale749’s integration with its surroundings is upheld by carefully considered deck, window, and walkway placements wherein LOHA established a veil of transformable layers to promote a hybridized relationship between private and public spheres. Incorporating passively sustainable elements in the exterior cladding helps reduce the solar heat load on the building and its energy expenditures for cooling." Jury Comments: "Nice understated design. Rigorously developed and is an upgrade in its context. Very well thought out, detailed, and elegant resolution from a simple, rather banal ships container reference." The Special Housing award acknowledges design that meets the unique needs of other specialized housing types, including housign for the disabled, residential rehabilitation programs, domestic violence shelters, and among others. Commonwealth Honors College, University of Massachusetts; Amherst, MA - William Rawn Associates, Architects, Inc. "The Commonwealth Honors College Community brings together all classes of students in a mix of unit types that provides 1,500 beds in seven new buildings. The buildings are organized around intimately scaled courtyards that step down the hillside, creating the sense of an academic village for the University of Massachusetts Honors Community." Jury Comments: "Rich mixture of campus buildings resembling an Italian hill town. So impressed that at every scale it was well thought out and integrated. They spent so much time on careful spaces for social engagement." Homeless Veterans Transitional Housing, VA Campus; Los Angeles - LEO A DALY "As part of the Nation’s vanguard effort to house its homeless veterans, the design team of Leo A Daly took a historic structure on the VA’s West Los Angeles medical campus, a building that had been vacant for decades, and repurposed it, turning Building 209—a 1940’s-era clinic building—into an inviting new home for veterans. In the process, the building’s exterior, designated a historic landmark by the Secretary of the Interior, was fully restored, and the former mental hospital transformed into modern therapeutic housing for 65 formerly homeless veterans." Jury Comments: "Spaces, landscaping, and rooms afford a believable sense of importance of and gratitude towards the residents. Respectful of the original building, and respectful of the occupants on the inside. This carefully considered the specific building users and their particular therapeutic needs." Whitetail Woods Regional Park Camper Cabins; Farmington, MN - HGA "Nestled into the hillside of a new regional park, three camper cabins riff on the idea of a tree house entered from a bridge at the crest of a hill. Built on concrete piers to minimize environmental impact, the 227-square-foot cabins with an 80-square-foot deck feature red cedar glulam chassis, cedar and pine framing, and red cedar cladding. Two full-size bunks, dining and sitting areas accommodate four individuals, with a sleeper sofa and folding seating accommodating up to two more. Floor-to-ceiling glass doors frame views of the forest." Jury Comments: "Beautiful simplicity. Colors, materials, and textures reinforce the undisturbed natural habitat. The light footprint is lovely and the low impact on the environment is wonderful." 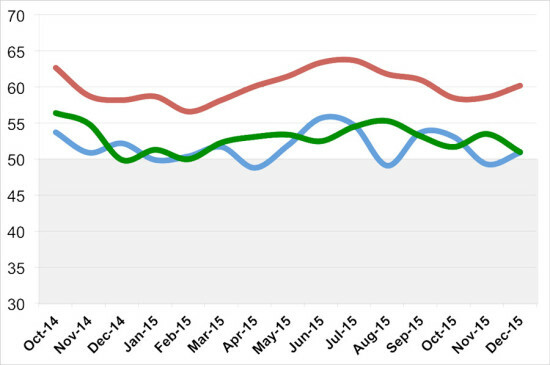 The Architecture Billings Index (ABI) closed 2015 in positive territory. Demand for design services increased in eight out of 12 months last year. “As has been the case for the past several years, there continues to be a mix of business conditions that architecture firms are experiencing,” said AIA Chief Economist Kermit Baker in a statement. “Overall, however, ABI scores for 2015 averaged just below the strong showing in 2014, which points to another healthy year for construction this year.” The ABI is the leading indicator of construction activities that reflects the approximately nine to 12 month lead time between architecture billings and construction spending. The December ABI score was 50.9, up from 49.3 in November. As Kermit Baker will have you know, any score above 50 means an increase in billings. 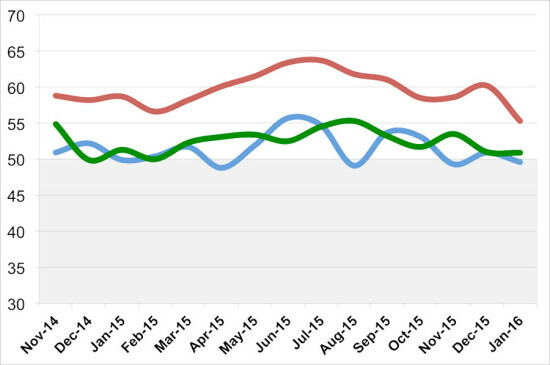 The December new projects inquiry index was 60.2, up 1.6 points from November, while the design contracts index was down 2.5 points, to 51.0, over the same period. The national, new projects inquiry, and design contracts indices are calculated monthly. Except for the Northeast with 46.7 (a 0.5 increase over November), the regional numbers were down for December. The West was at 53.7; the South, 53.3; and the Midwest 46.1. (That's a decline from 54.5, 55.4, and 47.8, respectively.) The sector index breakdown fared similarly. At 46.5, mixed practice was down 1.1 points from November. Multi-family residential fell 0.9 points to 52.9, whilecommercial/industrial billings fell to 47.3, from 51.0 in November. Institutional billings saw a gain of 0.2, to 52.2, for December. The regional and sector categories are calculated as a three month moving average. As part of the ongoing preservation efforts surrounding the South Side Chicago neighborhood of Pullman a print and online book has been released reporting the results of a workshop conducted by AIA Chicago and the National Parks Conservation Association (NPCA) in April 2015. Positioning Pullman gives a history as well as a possible way forward for the once flourishing company neighborhood, which has recently been designated a national monument by President Barack Obama. The Pullman neighborhood, once an independent town, was founded by George Pullman in the 1880s to house the workers and their families, of his luxury sleeping train car company. The town, a socially and technically progressive experiment, was designed by architect Solon Spencer Beman and landscape architect Nathan F. Barrett. The community would become a symbol of the industrial revolution and its efficiencies and advancements, as well as its labor tribulations. Pullman would be the site of multiple national policy changing strikes as well as a center for the unionizing movement of the early 20th Century. With the decline of rail travel the company would fold by the late 1960s, with only the name living on as spin off companies into the 198’s. The town's population and its buildings would quickly decline with the company, but a group of community organizers would save the city from total demolition, eventually leading to its landmark, and now national monument, status. The April ideas workshop, and subsequent publication, was charged with outlined a plan to preserve the historic neighborhood, as well as set out guidelines for improving the entire historic site. The workshop was divided into four teams—Park Experience, Historic Preservation, Access and Connections, and Community Development. The teams, organized by AIA Chicago and the NPCA, included architects, landscape architects, city planners, economist and engineers. Community involvement in the front and back ends of the workshop informed and tested ideas on the very people that would be most affected by the neighborhoods development. That development includes the adaptive reuse of historic buildings and sites, new construction, proposed transportation infrastructure and intensive preservation efforts throughout the area. 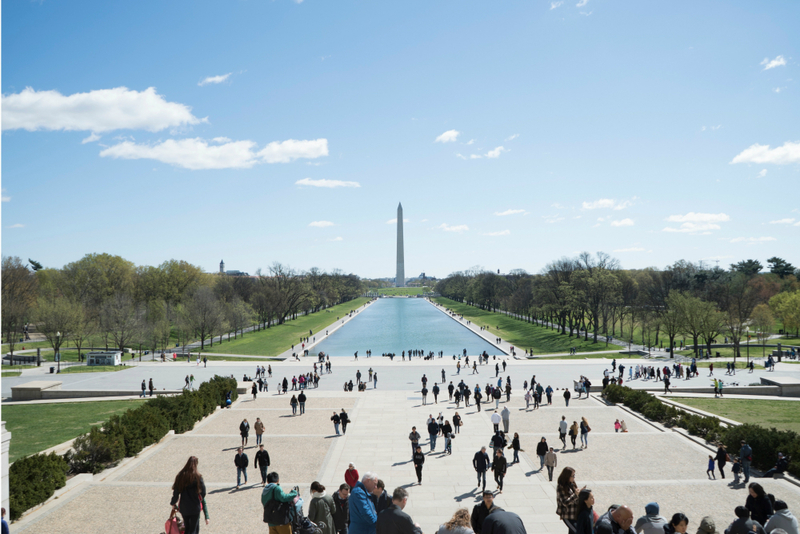 In the next few years the improvements to accessibility, infrastructure, and public amenities, aim to accommodate an expected 300,000 visitors a year. The workshop and publication were supported by The Richard H. Driehaus Foundation, Chicago Community Trust, and Alphawood Foundation.